As a mom myself now, I am overly aware of what is going in or on my children. Of course, we aren’t on a strict ‘organic diet’ or super duper eco friendly, by any means, but we are cautious and aware of what we purchase. If I can’t read the ingredients on something, or the list is a mile long, I won’t get it. If there is canola oil or corn syrup or the likes, and I know it’s not ‘non-GMO’ or not organic, I won’t get it. Modified milk ingredients is another. If there is parfume, parabans, etc, I won’t buy it. These are some of the things I always look for in ingredients. I try to stay away from the ‘Dirty Dozen‘ of fruits & veggies, if I can, but if I do end up getting them (which it does happen) I wash in a fruit & veggie wash or peel them. I try my best with what we can afford & do. If you look under our sinks you won’t find bleach or windex or other chemical cleaners. The worst thing is probably the sunlight dish soap (which my husband likes, so we usually alternate between that and seventh generation). What you will find is Borax, White Vinegar, a ‘green’ toilet cleaner & a spray bottle with homemade cleaner of vinegar,water & essential oils. i did a lot of research and reading when I decided to start using oils. I had heard of the MLM companies somewhat, but I never felt I really wanted to go that route. I know lots of people who do, and who have their own business in it, and I respect that greatly, but it just wasn’t what I wanted. I came across Rocky Mountian Oils in an article and the raves & reviews were great, they had clearly stated info for each oil, they had organic oils and their prices were great. I ordered a ‘beginners’ kit, it arrived promptly and I was very pleased with the product. They have a ton of info on their website, their customer service is quick, kind & helpful and I really appreciate the smaller company feel and energies they have. I’ve been buying from them for almost 2 years now. And I highly recommend them. I use them for everything. I make my own perfumes, i diffuse them, I clean with them, I use them for cuts & sore muscles. For mood for sickness. Next on my list of items I wanted to get more natural, was polish. I was never much of a polish girl, but after becoming a mom I found it was a fun and easy way to spice up the day and allowed for a few moments of ‘me time’. Again I did my research & searching and came across Zoya. Not only are they ‘5 FREE‘ they have an ah-may-zing selection of colours, great customer service, great deals (and I mean great!) and the polish goes on so nicely. Again I was wanting to make a change in my makeup. Not that I wore all that much, and still don’t, but I have my regular daily routine, and I knew that what goes on my body is just as important as what goes in. So the search began. More reading. More research. And in comes honeybee gardens. My first purchase was an eyeliner. And then an application brush. And then they had monthly boxes full of amazing things. So my collection grew more and more. Not only are they a smaller company and feels very wholesome and real, but their products are simple, long lasting, easy to apply and are an amazing price! The fairest price I’ve seen in the natural & organic world of makeup. not shown is my first purchase-the black liner. When I saw their post searching for Brand Ambassadors, I emailed right away and hoped I could be apart of their team in even just a small way. So I was delighted (and kind of surprised) when I got the email back saying they’d like to give me a trail run, and see what comes. I was giddy. The first product i recieved to try was one of their new natural lipsticks (another item I had started really having fun with being a mom, because it also is so simple to had some colour to your monotonous day). Let me tell you, their lipsticks, are pure bliss. They go on so smooth, they moisturize, and they last. My lips tend to be dry, but having these lipsticks on, don’t dry out my lips and don’t get all cracky. They also have other products other then cosmetics. Body wash, bar soaps, deodorant, massage bars, nail polish, etc. In one of their monthly boxes I recieved their powered deodorant & a couple items exclusively for the box only. A body was sample & a bath soak. I’ve also recieved their peppermint foot cream, bar soap & massage bar in past boxes. All amazing. So basically, what I’m saying is, if you are wanting to make a switch over to something better for your body & life. Do it. Their are lots of options out there. And some fairly good priced ones too. These 3 companies I’ve shared today, I found to have been the price that I feel able & comfortable to spend, but that’s just for me. I’d be very interested to see what options you like to use or what you’ve found in your searching of going green. I hope this (long!) post has helped you in some way, or inspired you to make a change for your own health. Previous PostLife is a Cabaret… Next PostCharged. Thanks Metta. I’m always trying to do my best but get stuck with the makeup. I do by ethical makeup but that doesn’t necessarily mean the ingredients are great. Good to hear another’s opinion and may have to give some of your suggestions a try! Oh wonderful! I’m so glad that I was able to shed some light on some great companies. Thanks for reading & the message! I’m definitely going to look into the oils and make up brands you talked about. Price is such an issue with trying to stick to more natural products. 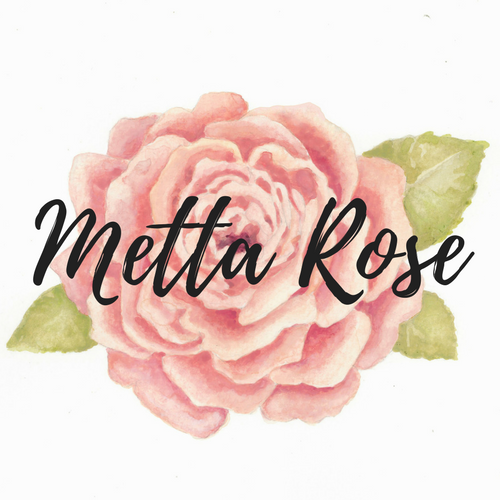 It’s always great to have more affordable options 🙂 great post Metta! !